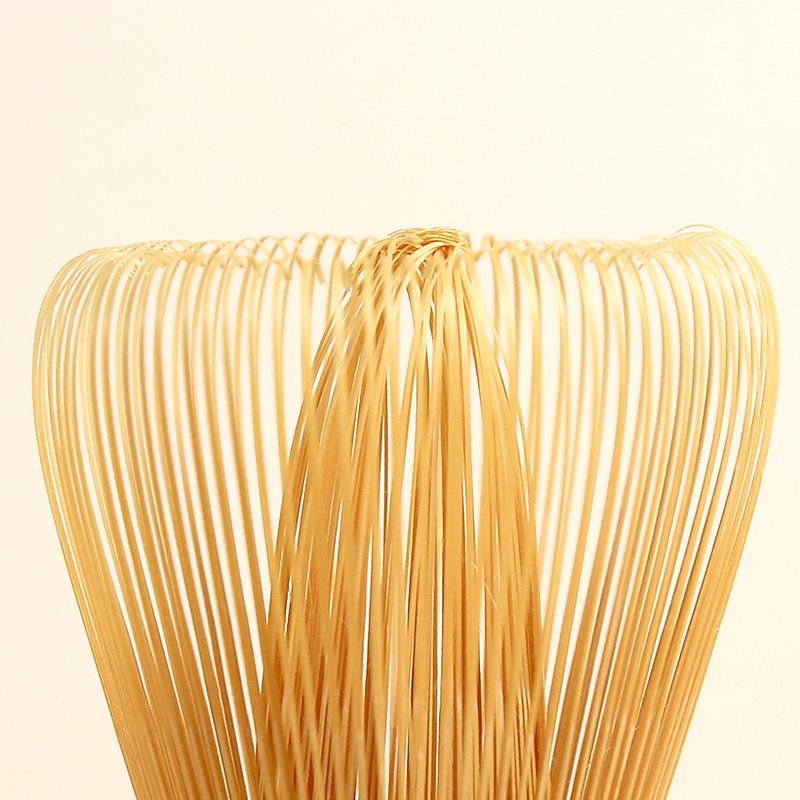 Made from 100 hand-cut bamboo splits by craftsmen in Ikoma, Nara Prefecture, Japan. Our Japanese whisks are made in Japan – not China – which makes them more expensive but also sturdier, better-made, longer-lasting and carved from bamboo that is harvested in Japan. 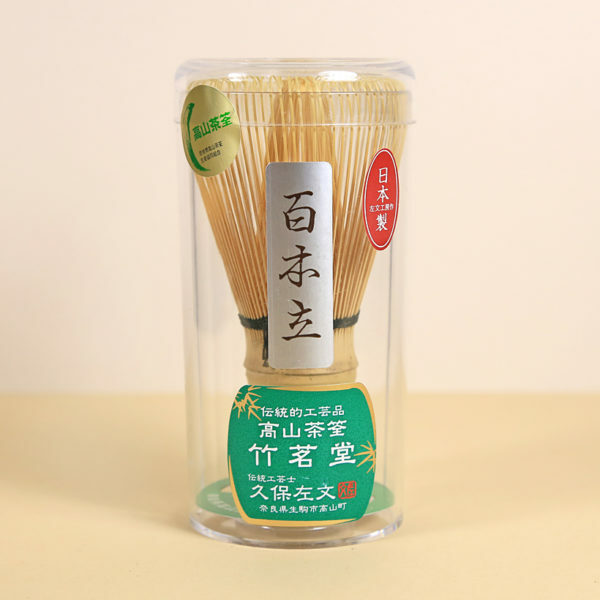 Most sellers of bamboo whisks both here and abroad are selling Chinese-made whisks, whether or not they know it, and even when they are purchasing their whisks from Japanese wholesalers. China certainly does have substantial quantities of bamboo forests that can be used to make this type of tea tool, but it is not a tea tool that is currently in use in Chinese tea culture. 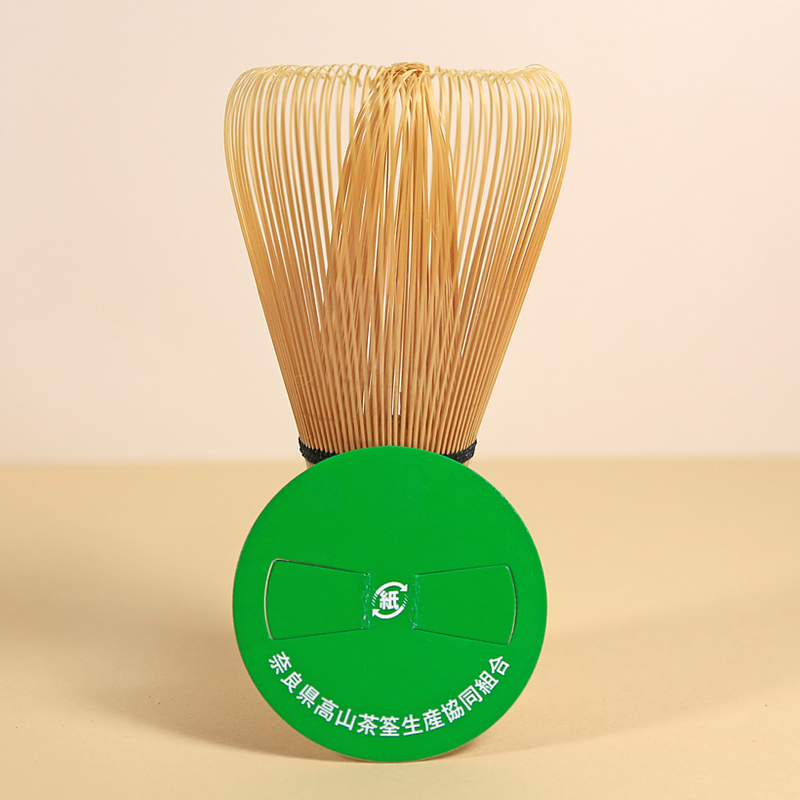 Chinese bamboo whisks are simply made to cut into the Japanese traditional craft market and supply the market with a cheaper product. It is all about the retail selling price. Chinese whisks are cheaper to re-sell and unless it is firmly stated as to where the whisk was made, it is not easy for consumers to determine the origin just by the appearance. We had to query several of our Japanese sources in Japan before we found real Japanese-made whisks. For economy of cost, we do stock some Chinese whisks but have kept the cost of our Japanese whisks low to accommodate those who really want a traditional Japanese-made whisk. Practitioners of Chanoyu, the Japanese tea ceremony, often use other styles of whisks for specific types of Matcha or when making koicha (thick tea) instead of usucha (thin tea). As with much associated with Chanoyu, the Japanese Tea Ceremony, there are many choices of tools, cups, etc. And for those who are unfamiliar with these practices, the number of items and points of procedure can seem overwhelming at first. There is a wonderful display of chasen in varying sizes, shapes and overall tine construction that is on display in one of the subtemples of the Daitokuji temple in Kyoto, Japan.